A recent proposal from the Department of Health and Human Services to ensure patients in Part D benefit from rebates drug-companies pay to insurers and pharmacy benefit managers is an important first step in the effort to bring down drug prices. Manufacturers offer rebates to make prescription drugs more affordable, but increasingly patients don’t see those savings at the pharmacy. Insurers or PBMs keep them as profit. The HHS proposal seeks to reverse this trend by limiting middlemen’s affinity for retaining the rebates, which are intended for patients, not for other corporations. The proposed rule cuts to the heart of a main driver of prescription-drug spending: the market’s skewed incentive structure. Because PBMs control what drugs are covered by insurers and large employers, they can dictate the terms of that coverage, pressuring manufacturers to raise their list prices in order to offer even bigger rebates for those treatments. 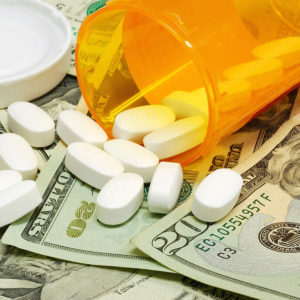 This system is unsustainable and redirects savings initially intended for patients to companies that neither manufacture prescription drugs nor cover the costs of that medicine. The administration’s proposed rule would help solve two major concerns — lowering the list price of prescription drugs and reducing patients’ out-of-pocket costs — by steering those savings back to the patients who need them. The market for prescription drugs is uniquely byzantine. PBMs have outsized influence because, more often than not, they determine what drugs are covered and influence what patients pay for those treatments. Manufacturers are often pressured by PBMs to provide increasingly large rebates to those as incentive to cover their drugs or give them preferential status. This system has created a series of perverse incentives. Drug makers increase list prices because PBMs continue to demand larger rebates. HHS estimates the net price paid for prescription drugs is typically 26 percent to 30 percent lower than the list price. Last year, manufacturer rebates totaled $166 billion, according to the Drug Channels Institute. Imagine the savings for patients, if they saw a greater share of those discounts. The recently announced proposal seeks to correct these market distortions by directing PBM rebates to reduce Medicare beneficiaries’ out-of-pocket costs. This new rule would help ensure that patients see a much larger share of those savings at the pharmacy. The rule would have an even bigger effect on the market for prescription drugs by removing an incentive for drug manufacturers to raise prices just to finance these rebates. To understand how this proposal would benefit patients, consider what it could do for patients who need insulin. Insulin is frequently cited as a prime example of outrageous and unjustifiable price increases, but the market for insulin illustrates how perverse incentives are leading to higher list prices and higher rebates that don’t benefit patients. In the case of insulin, robust competition has driven list prices higher because manufacturers, under intense pressure to offer generous rebates, increase them just to finance those rebate payments. So, while list prices increase and rebates grow even faster, the average net prices for insulin remain largely flat. But patients never see those savings. Patients should benefit from those savings, not insurers and PBMs. The proposed rule has drawn criticism from a number of unexpected opponents. These critics oppose a rule that would lower seniors’ out-of-pocket expenses, while supporting other administration efforts to limit prescription-drug access for the sickest, most complicated patients. These positions harm seniors in the long run. This proposed rule applies only to Medicare and Medicaid. Imagine the benefits, if Congress expanded it to other markets. Howard Dean served as Governor of Vermont from 1991-2003. He is also a former Chairman of the Democratic National Committee, National Governors’ Association, and Democratic Governors’ Association. Prior to entering politics he was a full-time practicing physician. He is now Senior Strategic Advisor and Independent Consultant with McKenna Long & Aldridge LLP.